Fear and loathing still surround aspects of the amalgamations now mooted for metropolitan Sydney and Regional New South Wales although the words 'forced amalgamation' have all but disappeared from many reports and communications, being replaced with terms such as 'expanded', 'proposed merger' and the NSW Government's own 'Council Boundary Review'. While some are still proclaiming loudly, and not so gently, 'we will not got quietly into the night! ', most council's seem to have become, quite ...quiet. Council Meeting Minutes and Agendas Reports, and other media outlets ascribe this sudden absence of protest to Council's being instructed the new Councils (new Local Government areas) are slated to be proclaimed by mid-2016, that they follow guidelines for the introduction of these amalgamations, that the conduct and 'attitude' of Councils prior to and in the lead up to meeting this time frame will determine whether they rule themselves, from all or some of then still serving and voted in Councillors, or are ruled by 'administrators', until elections for new councillors take place. The previously scheduled for September Council elections will be deferred to March 2017, at this stage. After considering the clear need for change, the Independent Local Government Review Panel (ILGRP) research and recommendations, the assessment of councils by the Independent Pricing and Regulatory Tribunal (IPART), council merger preferences, community views and the unique needs and characteristics of each area, I am putting forward the proposal to merge the local government area of Pittwater with the majority of the local government area of Warringah. The ratio of residents to elected councillors in each of the two existing councils is markedly different. This reflects the wide variation in resident populations. While the proposed merger will change the ratio of residents to elected councillors, the ratio, based on councillor numbers in the existing councils, is likely to be similar to those currently experienced in other Sydney councils, including the more populous Blacktown City Council (Table 2). For the purpose of analysis of merger benefits, this proposal has assumed that the expanded council will have the same number of councillors as Warringah Council, as this has the largest number of councillors of the councils covered by this proposal. The Government welcomes feedback through the consultation process on the appropriate number of councillors for the expanded council. Some councils in NSW have wards where each ward electorate elects an equal number of councillors to make up the whole council. Community views on the desirability of wards for an expanded council will be sought through the consultation process. * Pittwater and Warringah communities will have an opportunity to shape how a new merged council will be structured, including the appropriate number of elected councillors. Fifteen elected councillors is the maximum number currently permitted under the NSW Local Government Act (1993). Source: Australian Bureau of Statistics, Estimated Resident Population 2013; and NSW Office of Local Government, Council Annual Data Returns (2013-14). LGNSW and a number of councils have been asking to see the full KPMG analysis referred to in the Government’s proposal documents. The document is a key argument for the Government’s merger proposals and should be in the public domain so it may be scrutinised. LGNSW have indicated they will continue to make representations to the Premier and Minister for Local Government to have this document released. The Public too, has been given some guidelines on how they may still have their say on the Merger Proposals through making a written submission and/or attending a Public Inquiry. Pittwater's will be at Mona Vale Golf Club on February 2nd, 2016 with two options for those who wish to speak or attend. You must register to attend and although it prompts you to 'speak', a query made informed that unless you register whom you're speaking for etc. you will not have to if don't want to and may simply attend to hear what is said. Details for all these options run below with links for you. Members of the public who would like to attend are requested to register using the online registration form below or by contacting 1300 813 020. Members of the public who would like to speak at the inquiry are requested to indicate that they wish to do so when they register to attend. Please see below the sessions for the public inquiry. The Minister for Local Government has referred merger proposals to the Chief Executive of the Office of Local Government for examination and report under the Local Government Act (the Act). The proposed mergers have been informed by four years of consultation with NSW councils, independent assessment, council merger preferences, and feedback from communities and stakeholders. The Chief Executive has delegated the examination and reporting function to other people (Delegates). In examining and reporting on merger proposals, Delegates will conduct a public inquiry, call for written submissions, and prepare a report with due regard to the factors in section 263(3) of the Act. The factors in the Act include financial considerations, communities of interest, elected representation, employment of staff, services and facilities, and the attitude of residents and ratepayers. The reports of the Delegates will go to the Minister for Local Government as well as the independent Local Government Boundaries Commission for comment. Members of the public can make written submissions and can attend public inquiries. Submissions are now open and will close on Sunday 28 February 2016, 5pm EST. The proposals and details of the process being undertaken, including the names of the Delegates and the proposals they will examine and report on, are located on this website. The process for considering proposals to amalgamate local government areas or alter a local government area boundary is set out in Chapter 9, Part 1, Divisions 2A and 2B, and Chapter 9, Part 3 of the Act . The Minister for Local Government (Minister) has referred proposals to the Chief Executive of the Office of Local Government, who has delegated the examination and reporting function under section 218F of the Act to a number of persons (Delegates). The Delegates will be responsible for examining and reporting on the proposals in accordance with the Act. Once they have completed their examination, they must prepare a report and provide that report to the Minister and to the independent Boundaries Commission. The Boundaries Commission will review the reports of the Delegate and provide its comments to the Minister. Once the Minister has received reports prepared by the Delegates and the Boundary Commission's comments on those reports, the Minister will make a decision on whether or not to recommend the implementation of each proposal to the Governor of NSW. For more details on the legislative process please refer to the Act. Sections 263(2A) and 218F(2) of the Act requires the Delegate to hold a public inquiry (public meeting) into the proposal. Any person may speak at the public inquiry, but may not be represented at the public inquiry by an Australian Lawyer or by a person qualified for admission as an Australian Lawyer, or any person acting for a fee or reward. Details of the times, dates and locations of the public inquiries will be made available in mid-January. Written submissions will be one of the most important ways for Delegates to gather information. People who make written submissions are encouraged (but are not required) to focus on the factors listed in section 263(3) of the Act. Written submissions close 5.00pm Sunday 28 February 2016 and can be submitted either online or by mail. For more information please refer to the Frequently Asked Questions section on this website. What is the standard form for submissions? Submissions may be made in the form of a letter, short written document or a longer paper and may include appendices and other supporting documentation. Preferably, submissions should be typed. Hand-written submissions must be clear and legible. What should be addressed in the submissions? • any other factors relevant to the provision of efficient and effective local government in the existing and proposed new areas. How do you lodge a submission? Submissions must include the name, address, contact telephone number and email of the person or organisation making the submission. People signing submissions on behalf of an organisation must provide the name of the organisation. The submission form will include some mandatory fields and you will not be able to complete your submission unless these details are completed. Submission authors may also speak at the public inquiry. Details of the public inquiries will be available on this web site in mid-January. Once a submission has been made, it becomes part of the public record. Submissions will be published at the conclusion of the proposal examination and reporting process, unless the author of the submission requests that it remain confidential. To protect the privacy of submitters, signatures and other personal contact details will be removed before submissions are published. You should also be aware there may be circumstances when it is required by law to release information (for example, in accordance with the requirements of the Government Information (Public Access) Act 2009). Authors must clearly state if they wish all or part of their submission to remain confidential. Submissions cannot be withdrawn or altered once published. Who will review the submission? Submissions will be reviewed by the Delegate and used to inform the examination and reporting process. Submissions that are received after the closing date will be reviewed at the discretion of the Delegate. The role of the Delegate is to examine and report on a proposal that has been referred to the Chief Executive of the Office of Local Government by the Minister for Local Government (Minister) under section 218F(1) of the Act. The Delegate will examine the proposal in accordance with the Act. Once the Delegate has completed their examination, they must prepare a report and and provide that report to the Minister and to the independent Boundaries Commission. The Boundaries Commission will review the report and provide their comments to the Minister. Once the Minister has received the comments from the Boundaries Commission and the report from the Delegate, the Minister will make a decision on whether or not to recommend the implementation of the proposal to the Governor of NSW. For more details on the legislative process please refer to Chapter 9, Part 1, Divisions 2A and 2B, and Chapter 9, Part 3 of the Act. Can I request a private meeting with a Delegate or can I host my own public meeting and invite the Delegate? Delegates are not required to accept such meeting requests or invitations and it is recommended that individuals, groups and organisations provide input by making a written submission or by speaking at the public inquiry. Richard has extensive knowledge of the planning and environment sector and is currently Director of his own town planning consultancy, Pearson Planning Solutions, where he provides strategic policy and planning advice to government and the private sector. Richard is a former Deputy Secretary of the Department of Planning and Environment, where he managed the Department’s regional office network, including front line liaison with local councils. He also led development of regional strategies for the high growth areas of the state, as well as working with local councils to develop their new local environmental plans. Pittwater Council is urging all residents affected by the NSW Government’s proposed merger of Pittwater and the northern suburbs of Warringah to review the Government’s plans and have their say, either by speaking at the public hearing or making a submission. The NSW Government has announced that an expanded Council for Pittwater servicing the northern suburbs of Warringah would receive $20 million to cover the costs of merging and community infrastructure projects. General Manager Mark Ferguson encourages residents to visit the Council Boundary Review website and review the merger proposal and accompanying maps, and then voice their opinion to the NSW Government. “This is the final step in the NSW Government’s merger process and the last chance for affected residents to formally express their views to the State Government,” Mr Ferguson said. “Pittwater Council urges all affected residents to take the time to consider the proposal and financial benefits and identify the issues that are most important to them and speak out,” he added. The Office of Local Government will hold two public inquiry meetings on Tuesday 2 February from 1-5pm and 7-10pm at Mona Vale Golf Club. An independent delegate has been appointed by the Minister for Local Government to review the Pittwater and North Warringah merger proposal. “The delegate assigned will examine submissions, hold the public inquiry and report those outcomes to the Minister for Local Government and Boundaries Commission. “It is certainly valuable for residents to express their views as the minister will consider all submissions when forming his final recommendation,” Mr Ferguson added. The NSW Government has indicated that all new councils will be proclaimed by mid-2016. It also announced that Local Government elections will be delayed until March 2017. Local government expert Professor Brian Dollery has endorsed the SHOROC two-council model that would see an expanded Pittwater Council as 'the most sensible and economically responsible outcome for the region possible'. Despite stressing that he has consistently opposed compulsory mergers, Professor Dollery said that when compared to the Independent Panel’s recommendation of a forced merger of Manly, Pittwater and Warringah, the State Government’s new proposal is the best outcome for residents in the region. “Expanded Pittwater and Manly councils allows for the strengthening of villages and communities, retention of local character, community of interest and identity, and allows the two areas to retain their respective densities,” says Professor Dollery. “It also safeguards the custodianship over a unique waterway and lower density development in keeping with the natural environment and heritage in the northern council, whilst the southern council would be more harbour and city focussed with a higher level of density. “The SHOROC two-council model supports conceptual and empirical research showing that the larger proposed entity was not a better option,” he said. Empirical research undertaken by both Professor Brian Dollery and KPMG has shown that a two-council model can provide financial, environmental, social and governance benefits for the communities that they service. Pittwater General Manager Mark Ferguson said that the proposed expanded council for Pittwater would have an estimated resident population of 168,000 people by 2031. ”This would provide sufficient scale for the expanded council for Pittwater to be financially sustainable and deliver strong economic management enabling the strengthening of villages and communities and retention of local character and identity,” Mr Ferguson said. “Two more equitable councils providing joint services and working collaboratively will also deliver stronger representative advocacy for the area when dealing with state and federal governments,” he added. The NSW Government has announced that an expanded council for Pittwater servicing the suburbs of north Warringah would receive $20 million to cover the costs of merging and community infrastructure projects from the Stronger Communities Fund. The southern council involving the merger of Manly, Mosman and southern suburbs of Warringah would likewise receive $25 million. This is a total of $45 million for the region. The NSW Government has made available its proposal document which outlines a merger of Pittwater with North Warringah to create an expanded Council. Additionally the government has announced Richard Pearson as the Delegate who has been tasked with the function of examining and reporting on the merger proposal. Richard Pearson is currently Director of Pearson Planning Solutions and is formerly the Deputy Secretary of the Department of Planning and Environment. Pittwater Mayor Jacqueline Townsend said that an Extraordinary Meeting of Council will be held next Monday 11 January to discuss the NSW’s Government merger proposal. Mayor Townsend said the Delegate has informed Council the community will have an opportunity to have their say through a public inquiry which is to be held as part of the proposal examination process. The community can also provide a written submission through the online portal. The date, time and location of the inquiry is yet to be set. We will notify the community once Council has been advised. “The government’s proposed relocation of Pittwater’s boundary includes Terrey Hills, Narrabeen, Collaroy, Collaroy Plateau, Cromer, Wheeler Heights, Oxford Falls, Frenchs Forest, Duffys Forrest, Belrose, Davidson, Forestville and Killarney Heights. • a new strategic centre at the Northern Beaches Hospital Precinct. 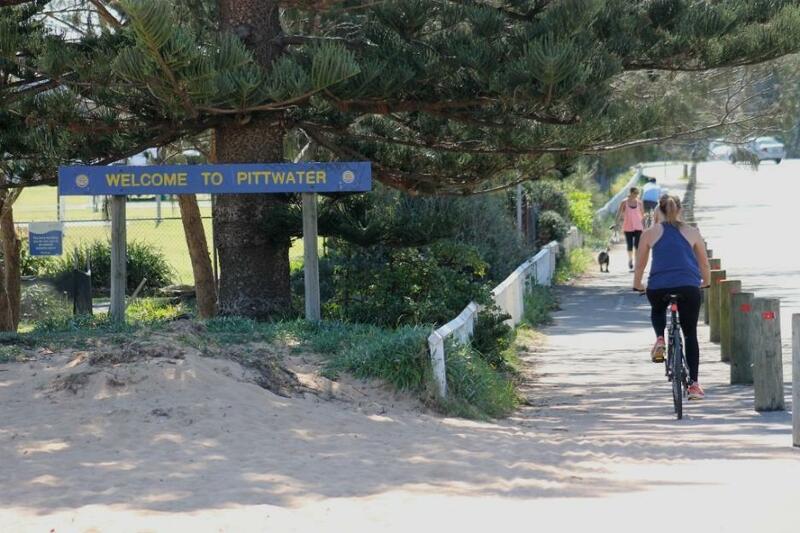 “For the time being it’s ‘business as usual’ for Pittwater,” Mayor Townsend added. For details on the proposal and how to make a submission visit www.councilboundaryreview.nsw.gov.au The submissions deadline is 28 February 2016.